Where can drift ice be seen? The drift ice originates as water flowing out of the Amur river, the natural border between China and Russia, into the Sea of Okhotsk. 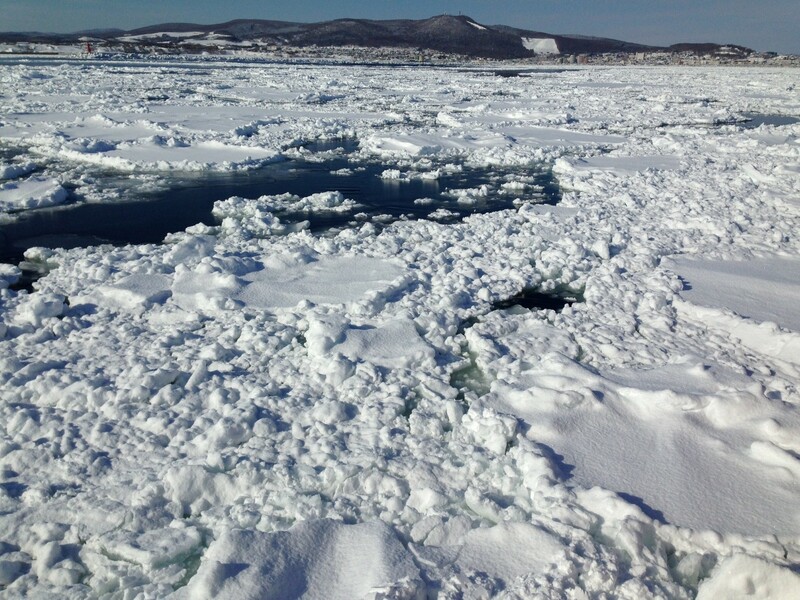 This fresh water then gradually freezes and drifts toward the Hokkaido side of the sea while increasing in size. The ice will usually start to appear in late January, and drift away from the eastern side of Hokkaido towards the end of March. 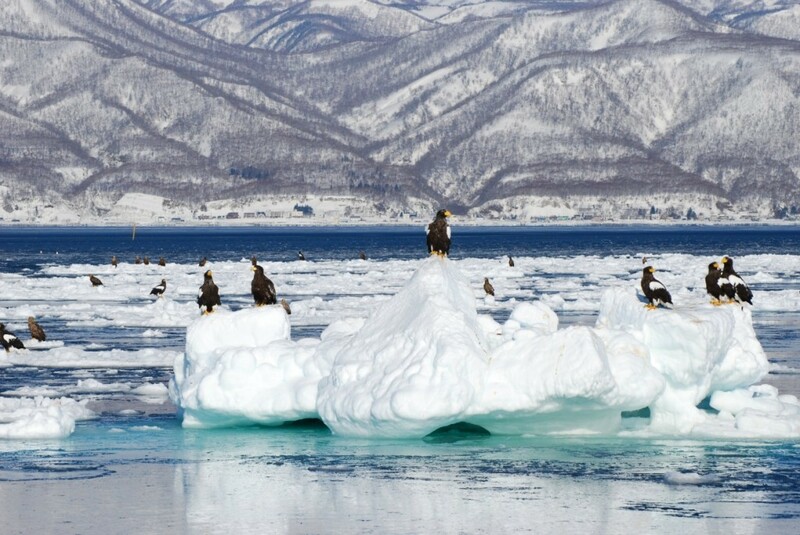 The three areas best equipped for viewing drift ice are Abashiri, Monbetsu and Shiretoko-Utoro/Rausu. During the seasonal drift large quantities of ice get pushed up along the coasts and into the harbors of these areas, giving you plenty of opportunity to observe this surreal sight. What’s exciting about drift ice? First and foremost, this is a chance to experience from up-close a very unique phenomenon that you won’t come across in any other sea outside of polar latitudes. Animals are drawn to the ice! There is more to drift ice than just lumps of ice passing by: it is said to bring the blessings of Okhotsk nature with it. Because the drift ice comes accompanied by an abundance of plankton, rare animals are drawn to it too. These migratory birds with wingspans of over 2 meters are a stunning sight. Even though these are very rare birds that have become endangered species, here you can observe their majestic presence as they rest their wings on the drift ice. 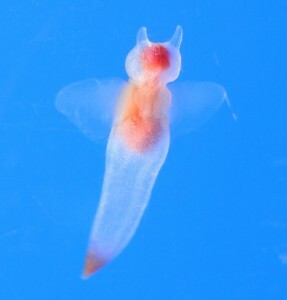 Clione are also called sea angels, or “the angels of drift ice”. They are also notorious for the ghastly way in which they devour their prey. 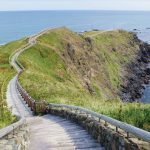 They might be hard to spot from a boat or the shore, but they can be scooped up readily when participating in an ice floe walk, and in Abashiri in the tourist center and Okhotsk Ryu-hyo Museum you can see them too. Drift ice can be enjoyed in several different ways! 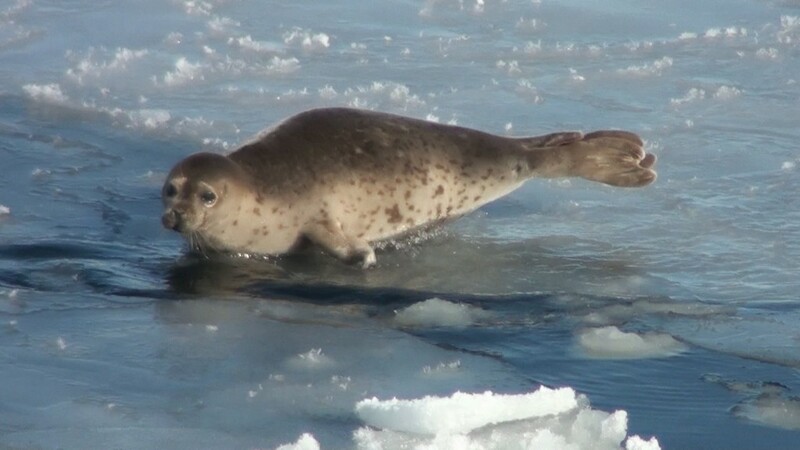 Drift ice has more to offer than just letting you gaze at it! 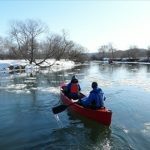 A lot of variation awaits you, such as drift ice viewing tours in which you can see the ice up-close from a sightseeing boat and the ice floe walks that I will describe below; allowing you to actively enjoy winter in Hokkaido, even though it is usually thought of as the island’s off-season. Tours examples arranged by their different approaches and objectives. Information current as of Dec 2014. One thing that might trouble someone coming from outside of Hokkaido who wants to see the drift ice is “Where should I go and how should I go there?”. 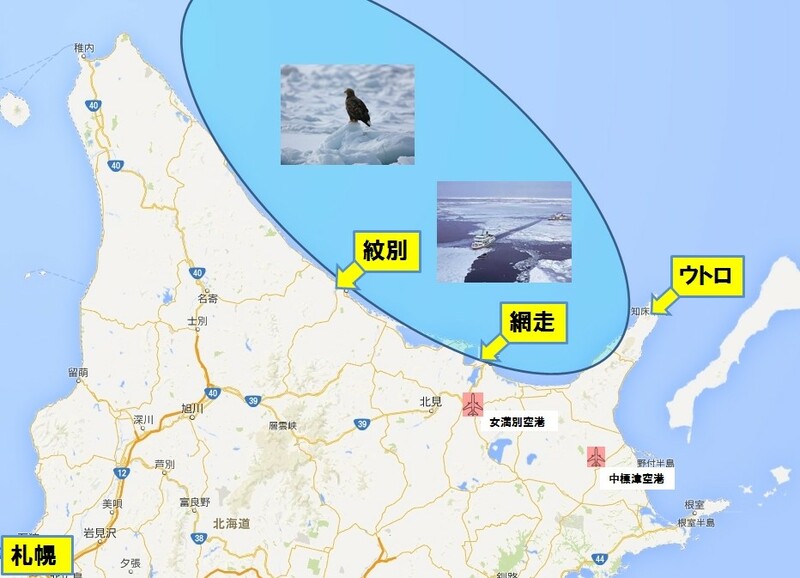 Even though airplane connections to airports in the vicinity of the drift ice area exist such as Memanbetsu and Nakashibetsu, I think there are many people who are not aware of them. 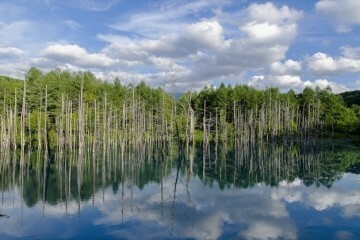 In that case I recommend Hokkaido Access Network’s “Drift ice touring ice breaker Garinko-go II day trip bus” set. 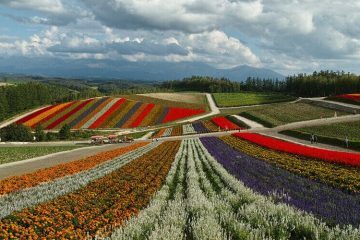 It is a tour in which you depart from Sapporo by tour bus, board the icebreaker Garinko-go II from Monbetsu, and arrive back in Sapporo by bus on the same day. 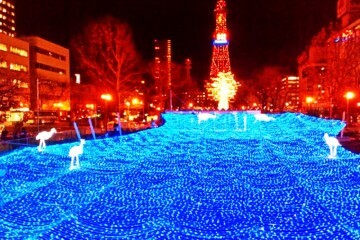 Ideal as a no hassle ice viewing trip if you’re based out of New Chitose Airport for example. It includes all the essentials, such as a lunch box, and the ice breaker boarding ticket. 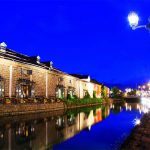 You can book directly on the official homepage above, but various travel agencies also offer this tour as part of convenient packages that include airplane tickets and hotel accommodations in Sapporo. In other words, enough options exist for you to choose carefully in accordance with your wishes, requirements and budget. I recommend this tour if viewing drift ice is one of your objectives, but you want see some of Hokkaido’s various other sights too. The most problematic aspect of visiting Hokkaido in winter tends to be transportation. For many, driving a rental car through the Hokkaido snow is an unsettling prospect; while buses may be infrequent, and their schedules hard to figure out in advance. But if you join a bus tour, you don’t need to worry about any of that! Given that you’ll always be with staff on location or on the road who will take care of that, you can relax and enjoy your trip. Set up your own self-arranged tour! I’m repeating myself here, but the most problematic aspect of visiting Hokkaido in winter is transportation. Trains don’t run where you can expect them to, and driving a rental car over snowy roads is not for the faint of heart… Which is why, in this case, I recommend East Hokkaido Express Bus, a bus service ideal for traveling between major sightseeing destinations and drift ice viewing hubs. 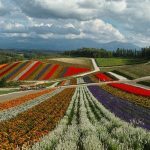 It is suitable for those who want arrange their own tours, because their routes and timetables are put together such that they connect up nicely between the ice breakers and areas providing tourist accommodations. 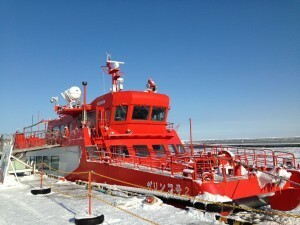 This is a sightseeing ship on which you can see the drift ice from nearby. 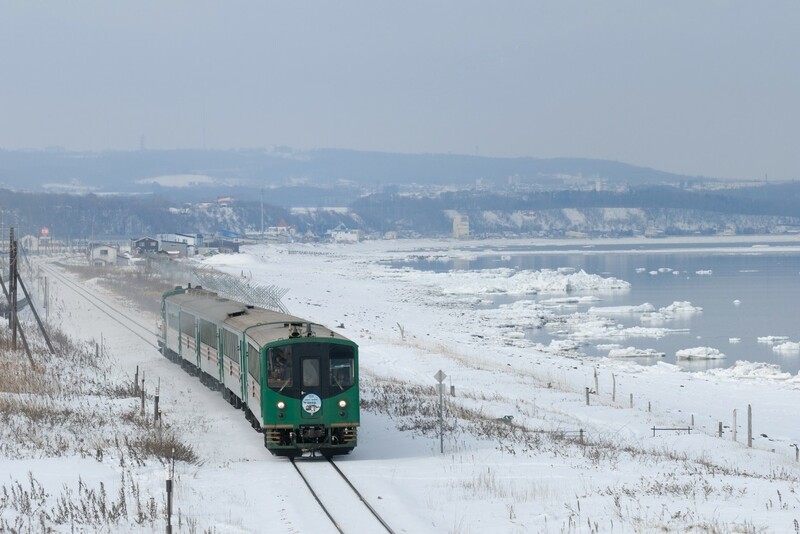 It departs from the Aurora Terminal of Abashiri, which is also well-known for the two tourist destinations Abashiri Prison and Okhotsk Ryu-hyo Museum. The ship is characterized by how it dynamically charges ahead using its large 491 tonne weight to crush any lumps of ice in its path, allowing you to enjoy the drift ice up-close regardless of any obstacles encountered. Asides from being able to observe the ice from the warm comfort of the ship’s interior, you can also go up onto the observation deck and enjoy the action with all five senses. This ship’s popularity is surging, and the number of foreign tourists aboard is increasing as well. During the February peak season the seats tend to immediately fill up, especially in the afternoon, so I recommend you book well in advance. 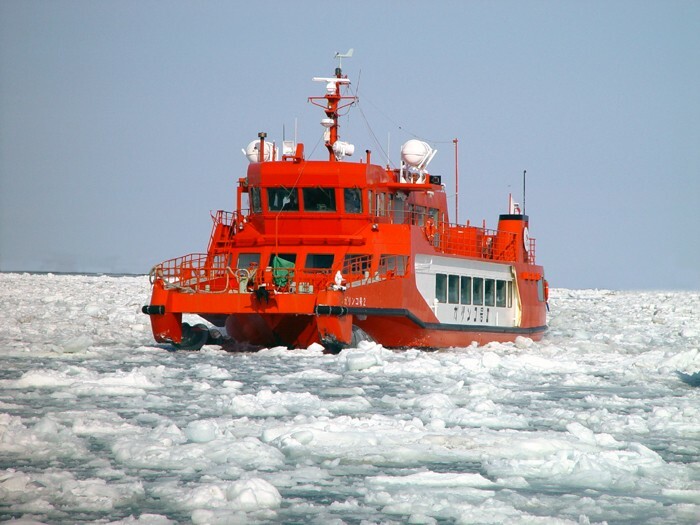 *When no drift ice is present, plan B is enacted: a maritime sightseeing trip to Noge Cape. It’s biggest difference lies in how it copes with ice drifting in its path. Whereas Aurora simply crushes it with its weight, Garinko-go is equipped with two massive drills on its aft that break apart any ice it comes into contact with. Both of these are exciting methods of propulsion, so why not try both and compare them! This ship too is reservation-only. All seats past noon often become fully booked almost instantly, so check well in advance. Ryuhyo Norokko-go was a popular train that ran between Abashiri Station and Shiretoko-Shari Station during the drift ice season. Regrettably, it ceased operation in 2016, but a new sightseeing train called Ryuhyo Monogatari-go began service in 2017. 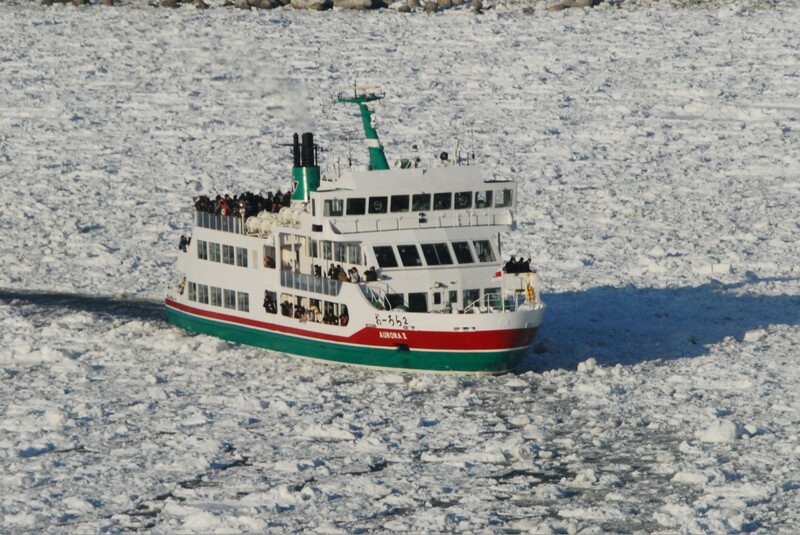 By all means check out the drift ice view from the windows of this new Ryuhyo Monogatari-go. If in doubt, should I go for an all-inclusive tour or should I make my own arrangements? As mentioned earlier, the hardest aspect of going to see drift ice is sorting out all the relevant travel information. If having to investigate and plan everything yourself sounds troublesome, I would definitely recommend joining a sightseeing tour. Moreover, I believe the biggest deciding factor is that the are no airports nearby that are served by low cost carriers. There are 4 airports in the vicinity of the drift ice viewing region; Memanbetsu Airport, Nakashibetsu Airport, Monbetsu Airport, and Kushiro Airport; but they are all only operated by ANA, JAL, and Air Do, so even just arranging an airplane ticket and lodgings by yourself through this route is bound to be expensive. 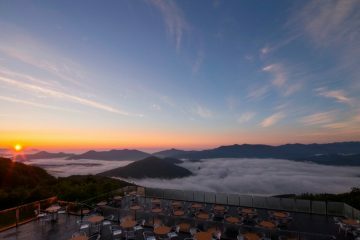 (ANA’s Tabiwari or JAL’s Sakitoku discounts might make for a somewhat more affordable total, but they come with many restrictions, such as inflexible cancellation policies.) 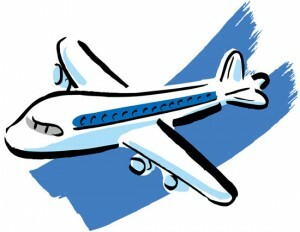 In this case, you would absolutely benefit from making use of a travel agency’s cheap and convenient packaged tour ! The cold is more extreme in the drift ice environs than the rest of Japan, as it easily drops to -10 degrees. That said, hotels and ships are thoroughly heated, so it can actually be quite hot inside. It is essential that you adapt your clothing to the situation, for example by bringing a down jacket or coat that can be easily put on and taken off again. Given that roads will be frozen and snow abundant, it is easy to slip and fall, so it’s also a good idea to bring winter shoes or to apply anti-slip material to the bottom of your soles. Keeping your hands in your pockets is dangerous for the same reason, so gloves are indispensable. In addition, disposable hand warmers and ear warmers may increase your comfort too. The season for drift ice is said to be mainly from early February to mid March. 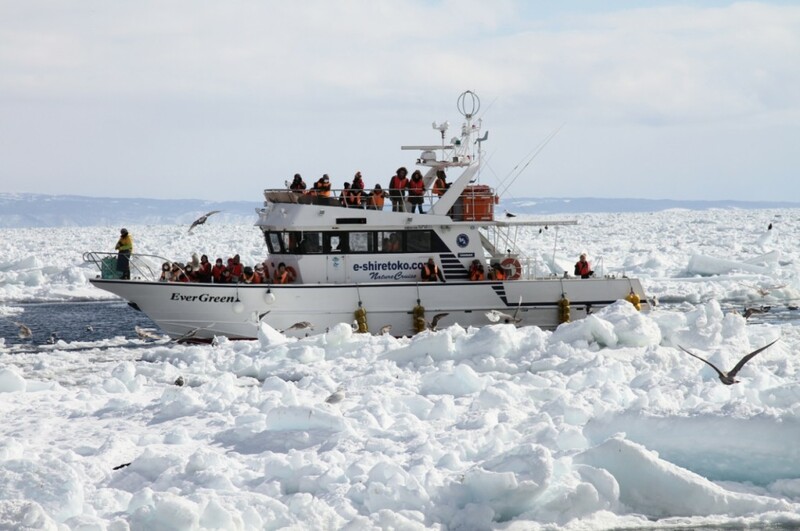 While it is possible to see drift ice during the 2nd half of March, the chances of spotting any ice floe during this time drops, and sometimes passengers on the sightseeing boats end up not seeing any ice at all. However, in recent years drift ice has at times been observed even in early April, and the chances of not seeing any ice seems to have decreased. What do you think? 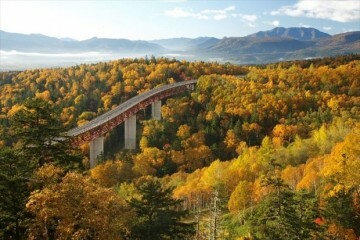 I hope you will make the journey to see these sublime sights that you would never encounter during your everyday life.